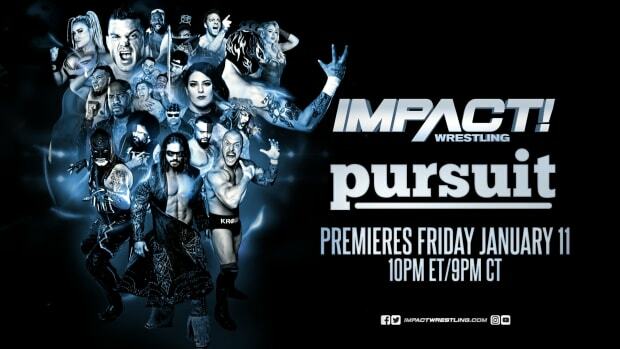 Impact Wrestling starts off with a video package of Lashley. It shows the unbeatable beast. It then switches to Bobby Roode and his desire to b TNA World Champion again. The video then turns into the match between the two several weeks ago. It was a great battle that Lashley won. It shows Roode backstage after the match stating he fought with passion and determination. The only thing that is in his sights is Lashley and the championship. A video plays from earlier today showing Bobby Roode walking into the building. The camera man says we haven&apos;t seen him in two weeks. Roode says he had time to think about it and it is time to show the world what is next for Roode. The camera shows the arena in Bethlehem, PA. The crowd is on their feet. Music hits and here comes Austin Aries. Aries walks down the ramp and gets in the ring. He grabs a mic and says he can challenge any champion at anytime, so he decided to go and challenge tonight. He also wants to make this interactive. He asks the crowd if he should face Gail Kim for the Knockouts Championship. The crowd laughs. He asks the crowd if they want to see him face The Wolves in a 2-1 Handicap match for the Tag Team Championships. He then asks if he should face Samoa Joe for the X-Division Championship. Joe&apos;s music plays and he walks right down the ramp and gets in the ring. Aries states he wasn&apos;t done yet. Joe gets in the ring with a mic as he raises the X-Division belt in the air. Joe gets on the mic and asks if someone called his name. Aries says he wasn&apos;t done. Joe says he will make this simple - If he is going challenge anyone, he is going to challenge Joe. If he is going to fight anyone tonight, it is going to be the most fighting champion and that&apos;s Joe. Aries states he is the longest reigning X-Division Champion in company history. However, he heard what Joe and he heard the fans and he is fine with that. He is okay as the X-Division Championship is what is right with the business. It&apos;s not about how tall or how big you are... but it is about wrestling. Joe tells the referee to ring the bell. The two lock-up and Joe quickly works on the arm of Aries but Aries falls down and flips around and works on Joe&apos;s arm. Joe applies a headlock. They go down but Joe turns it into a cover. Aries kicks out and the headlock was released. Both stand. Aries goes in the ropes and Joe does a huge shoulder block. Joe goes in the ropes and Aries does an arm drag and then another. Aries has an arm bar in place but Joe turns it into a head scissors. Aries gets out of it but Joe quickly stands. Aries gets up and punches Joe several times but Joe fights back. Aries does several chops to the chest. He runs in the ropes but Samoa hits him with a back elbow. Joe gets Aries on his feet and punches him several times in the face. Aries goes in the corner. Joe continues the punches. Aries is on the mat. Joe grabs Aries up and whips him in the corner. He runs and does a smash and then a kick to the back of the head. Joe grabs Aries but Aries punches Joe several times in the gut and then knees him in the same place. Joe goes back with a huge knife edge chop to the chest. Joe does an uppercut as Aries goes in the corner. Joe puts Austin on the top rope and punches him several times. He goes for the Muscle Buster but Aries blocks it. He jumps for a missile dropkick but Joe simply walks away and Aries lands flat on the mat. Joe bounces off the ropes and goes to drop the knees but Aries moves. Both stand and Aries kicks Joe in the back of the leg and then does a shoulder tackle in the corner. Aries is limping. Austin continues to work on the leg as he does a dropkick to it and then applies a leg lock. Aries releases it and then twists the ankle. Joe stands and limps to the corner. Aries follows him and continues the attack as he elbows Joe on the top of the head. Joe falls on the middle rope. Aries grabs him and chokes him and then jumps over the ropes and smashes his forearm into the head of Joe. Joe falls back to the mat. Aries jumps over and lands on Joe and then runs into the ropes and falls on Joe again. He covers but Joe kicks out. Aries runs in the ropes and goes for a huge suicide dive as Joe is on the outside but Joe kicks Aries right in the head before he went flying through the ropes. Joe rolls in the ring slowly. Aries is dazed. He gets up. Joe gets up. Aries punches Joe but Joe punches back. They go back and forth now but Aries is stumbling. Aries keeps falling and getting back up. Joe grabs Aries but Aries grabs Joe&apos;s leg. Joe knees Aries in the gut and then lifts him up for a powerbomb but Aries slides behind. He runs to Joe but Joe does a huge scoop powerslam!! He covers but Austin kicks out! Ethan Carter III is standing backstage. Rockstar Spud walks up to him and says he is here like Ethan asks. He tells Ethan that they haven&apos;t seen each other in several weeks. Ethan talks about Spud&apos;s failure and that leads him with nothing. He tells Spud to do his job and follow him to the ring. Ethan leaves and Spud slowly follows after taking a deep breath. A video package plays from two weeks ago of the Triple Threat Tag Team Ladder match. The Wolves are backstage with Kurt Angle. Kurt says he can&apos;t wait to see it and they will make history! The Wolves shake Kurt&apos;s hand and walk away. The camera man asks Kurt about the next match stipulation and Kurt states they ran it by him and he approves. All he can say is - Match of the Year! Kurt claps and is smiling from ear to ear. Ethan Carter III and Rockstar Spud are making their way to the ring. Ethan gets in the ring after Spud. He stands in the middle while Spud slowly hands him the microphone. Ethan takes it and acknowledges Spud asking him if he is his best friend. Spud says he is as he is his best friend in the whole world. Ethan states that is funny as he looks at is as Spud as his employee and Ethan is his employer. Spud just doesn&apos;t fit in as a friend. Rockstar can read comics and watch wrestling in his apartment, but he has bad news - The fans aren&apos;t with him. Suddenly, the crowd chants, "Spud, Spud, Spud, Spud!" Ethan states he is sickening by the chant and by Spud&apos;s face. He then insults Spud&apos;s haircut. Rockstar says he wants to look like Ethan. Ethan says he can&apos;t be like him. He can&apos;t even dress like him. Ethan rips Spud&apos;s suit jacket. Spud asks why he is doing this. Ethan says he is holding everyone accountable for what happened to his Aunt D. Ethan then asks Spud if he is crying. Suddenly, he SLAPS Spud right in the face. Spud had enough and starts to get angry. He gets in the face of Carter but doesn&apos;t do anything. Ethan laughs and asks what he is going to do. Just then, Eric Young&apos;s music plays and he walks down the ramp. He grabs a mic and gets in the ring. Eric wants to get this straight. Before he does, the crowd chants, "EY, EY, EY, EY!" EY asks if he is looking for someone to blame for what happened to Dixie but he can blame EY. It was a master plan and everyone will take credit for it. Ethan tells Young to leave as this doesn&apos;t deal with him. EY doesn&apos;t want to get in trouble, trouble, trouble, trouble with Ethan but he turns to Spud and says he was in his shoes before. He was bossed around and such. Spud has to hit him. That is the way to stand up for himself. What is it? Spud turns to Ethan. Ethan looks Spud right in the face. Spud looks very scared. EY understands. Well, suddenly, Ethan punches EY right in the face and he falls. EY goes in the corner and Ethan continues to punch him. A referee comes out and breaks it up. Ethan whips Ey in the corner but EY flips over and goes to strut on the apron. Ethan goes to him but Eric attacks him. He gets in the ring and does a hurricanrona. Ethan goes through the ropes onto the outside. EY jumps up and lands right on Ethan on the outside. He rolls Ethan back in the ring. EY gets in but Carter goes after Eric. He whips Eric in the ropes but Eric jumps on him and punches him several times. Ethan goes in the corner. Young walks to him but Ethan punches him right in the face. Ethan grabs him and does a huge suplex. He covers but EY kicks out. Ethan chokes EY on the middle rope. Spud was going to slap EY but he backs off. Ethan stares as Spud but EY goes for a roll-up. Ethan kicks out and goes right after Eric with a headlock. EY gets to his feet, elbows his way out, and runs in the ropes. Ethan applies a choke hold. Eric is fading. He is down to one knee. He goes all the way down to sitting on the mat. EY slowly fights back. Spud slowly enters the ring and Ethan tells him to raise his arm. Spud does as he holds his face with his other hand. Ethan pushes Spud and tells him to open the ropes for him. He does. Ethan exits and walks up the ramp himself. A video package plays from two weeks ago where Kenny King attacked Chris Melendez after his match. Mr. Anderson came down and saved Chris. Mr. Anderson and Chris are backstage. Anderson tells Chris that he handled himself well. Chris says this is nothing new but he appreciates what he did for him two weeks ago. Ken says he doesn&apos;t need to thank him. He is honored for what he did as he served our country. He tells Chris that they think he has a weakness and they are trying to get at that. Don&apos;t let them get to you. Chris and Ken handshake and walk away together. A video package plays showing the current feud between Gail Kim and Havok. Havok is absolutely dangerous. She took Gail&apos;s belt and then attacked her in the ring to the back. Gail isn&apos;t afraid of anyone and will put up a fight. Gail Kim walks out first as she holds the Knockouts Championship. She comes down the ramp and Havok goes behind her and attacks her. Gail falls. Havok takes off her gas mask and cape. Gail stands and tries to fight back but Havok rams Gail in the apron back first. Gail stands and tries to fight back again with punches. She goes to whip Havok in the steel steps, but Havok puts on the breaks and whips Gail into the steel ring post. Gail goes face first! She falls. Havok goes to grab Gail but Gail kicks her away and Havok goes back first into the ring steps. Gail stands and punches Havok nonstop. She pushes her into the guard rail. She continues to fight as Havok backs away. Havok lifts Gail up and plants her on the guard rail. She lifts Gail up on her shoulders but Gail slides out and kicks Havok twice in the head. She goes on the apron and jumps. Havok tries to grab her but she falls. Gail continues to fight with punches. Havok stands and Gail applies a key lock. Havok moves back and hits Gail&apos;s arm into the ring post and then drops her right down on the outside. Gail is holding her shoulder in serious pain. Trainers come out to check on Gail. Gail is squirming around in agony. Havok walks around the outside. A video plays showing what happens just moments ago between Gail and Havok. It shows the trainer and referee walking Gail backstage as she continues to hold her shoulder. A video plays showing the video package between The Wolves, Team 3D, and The Hardys. They talk about each other and who will end up being the winner of the series. Music hits and here comes The Wolves! Eddie and Davey walk down the ramp as the TNA Tag Team Championships are around their shoulders. They get in the ring. Davey grabs the mic and talks about the tag team series. He goes to announce the next stipulation for the Triple Threat Tag Team match but Team 3D&apos;s music plays and here comes Bully and Devon. They walk down the ramp and come in the ring. Ray has a mic. Ray tells The Wolves they just don&apos;t get it yet. It wasn&apos;t enough when they told The Wolves how great they were. It wasn&apos;t enough when The Hardys told them how great they were. Now they want to come out and talk about how amazing they are. They want to talk about leaving a legacy. They will not be Team 3D though. They will not have a legacy like they had for the past 20 years. The Wolves are good... but they aren&apos;t great. Bully tells The Wolves they will make the last match. Suddenly, music hits and here comes The Hardys. Matt has a mic. They walk down the ramp and he tells Ray that he is just being another bully. It is always the same with them. Jeff grabs the mic and says they will go into the TNA Hall of Fame but won&apos;t be champions. Matt gets on the mic and says The Wolves are good as they beat them two but Team 3D are extraordinary. The Hardys are excellent. Both are Gods. Matt tells The Wolves to step aside and let the legends decide this. Davey gets on the mic and tells Matt to shut up. He says they were great for the past 20 years but they will be going on for the next 20 years. He tells them to step aside as their time is now!! Davey gets in the face of Bully. Bully says he has balls. Ray then slaps Davey in the face. Eddie goes after Bully but Devon attacks him. The Hardys get involved. Ray kicks Eddie right in the face. Team 3D exit the ring and grab a table. The Hardys exit and they grab a ladder from under the ring. The Wolves grab chairs. Kurt Angle&apos;s music plays and he comes out on the stage with a mic. He tells them to stop and tells The Wolves to announce their stipulation and announce it now! They announce... FULL METAL MEYHAM! Mr. Anderson and Chris Melendez are walking backstage. MVP and Kenny King are walking too. They meet up and Ken is excited they found them. Ken talks to Kenny King about his actions several weeks ago and then states he wants to fight him. King laughs. MVP talks to King and King tells MVP that he knew he liked him for some reason as MVP will face Ken. They walk away and Ken tells him that he better stretch. Gail Kim is backstage. The trainer is working on her shoulder. Gail is in pain. Kurt Angle comes and checks on her. The trainer says she has a separated shoulder and shouldn&apos;t wrestle. Gail states that she WILL wrestle tonight and tells the trainer to do whatever she can to be able to make her able to compete. Music hits and here comes James Storm. The Great Sanada and Manik are behind him. they all get in the ring. Manik takes off his hood in the middle of the ring. James walks up to him and pats him on the back of the head. Music plays and here comes Shark Boy! Shark comes down the ramp and gets right in the ring. He goes to the corner and taunts. Manik goes right after Shark but Shark ducks and attacks Manik. Shark whips Manik in the ropes. He comes back and Shark jumps on him and punches him several times in the face. Both stand and Shark closelines him several times. He then whips him in the ropes and does a back body drop. Manik goes in the corner. Shark punches Manik in the head 7 times but Manik takes Shark down with an inverted atomic drop. He has him in the corner and stomps on him. He does a snapmare and continues to work on Shark Boy. He rakes his face with his boot. Shark fights back with a punch to the gut but Manik does an uppercut. He whips him in the corner. Shark pops out out of the corner but Manik does a flying dropkick. He covers but Shark kicks out. James Storm enters the ring and tells The Great Sanada to enter as well. He raises both of their arms. Team 3D is backstage. Ray states he doesn&apos;t know if he should give them credit for having balls or bash them for being crazy. What tag team in their right mind would challenge Team 3D in Full Metal Mayhem? What tag team would challenge Team 3D and Hardys with tables, ladders, chairs, and any other weapons you can think of? Ray states Team 3D will be in every pro-wrestling Hall of Fame there is and they will go into the TNA Hall of Fame as 25 Tag Team Champions. Devon steps forward and tells Wolves they will soon find out... TESTIFY! MVP and Kenny King are already in the ring. Music plays and here comes Mr. Anderson and Chris Melendez. Ken reaches up as the microphone drops. He introduces himself and allows Chris to introduce Ken&apos;s name again. They walk down the ramp. MVP and Ken stand in the ring. MVP goes to mock Chris Melendez and then locks-up with Ken. Ken goes on to work on MVP but MVP quickly changes it and goes behind Ken and takes him down. Ken is able to turn it around and work on the arm of MVP. MVP touches the ropes and Ken beaks the arm hold. They both stand. They lock-up. MVP puts Ken in the corner. MVP goes to back up but goes for a punch. Ken ducks and punches MVP in the face. He does a knife edge chop and whips MVP in the corner. He runs and does a closeline. MVP turns it around and whips Ken in the corner. Ken pops out and closelines MVP down. He does several elbow drops. He goes for another but MVP grabs Ken&apos;s tights and tosses him outside. King goes to Ken but Chris comes around. MVP exits and gets in the face of Chris. Ken slowly stands. MVP turns and attacks him on the back. He lifts him up and slams him down on the guard rail. Ken bounces off and rolls back in the ring. MVP gets in and covers but Ken kicks out. Both stand and Ken fights back with punches. Ken goes for a whip but MVP reverses it. Ken goes in the corner. MVP kicks him right in the face and then does a belly to belly suplex. He covers but Ken kicks out. MVP applies an arm lock. MVP stands and pounds on the shoulder of Ken. MVP drops a knee to his arm. He goes for another knee drop but Ken rolls out of the way. He gets in the corner. MVP runs to him but Ken leaves and punches MVP. MVP punches back. They go back and forth. MVP goes in the ropes but Ken hits him with a closeline and then another. He lifts MVP up on his shoulders but MVP slides out. He kicks Ken and climbs the corner. Ken grabs MVP and does a rolling senton. He covers but MVP kicks out. Bobby Roode is in the ring with the mic. He says wining the TNA World Championship is a tough task. Holding the Championship is an even harder task. He is the longest reigning TNA World Champion in history. He loved holding the Championship. However, like the saying - You are only as good as your last match. His last match was against Lashley and he lost. So, he wants to invite the TNA World Champion down. Music hits and here comes Lashley! He has the TNA World Championship around his shoulder. MVP and Kenny King are at his side. They walk down the ramp together. They get in the ring. Roode states that TNA World Championship means everything to him. He challenged him two weeks ago. He stands here as the longest reigning champ in history but he tells Lashley he is the most dominate one in history. Roode states he has been watching their match over and aver again for the past two weeks and there is one moment that stands out and that moment is when Lashley hit him with a spear. that spear is where he hit every TNA wrestler before him to get the win. When Roode kicked out at two, Lashley had an expression on his face that he never saw before. He looked shocked. Roode had him where he needed him. He was so close. Anything can happen. He had Lashley up but Roode tweaked his knee and it was his downfall. He tells Lashley he knows Roode could have beat him. Roode states they tour the roof off the building. They had such a great match. All he is asking is for one more shot... one more chance! He wants to Lashley to defend it against him one more time. "One more match! one more match! one more match!" Roode wants it. The fans want it. "What do you say, Lashley?" Lashley looks around. MVP tells him no. Lashley goes to grab the mic but MVP stops him and grabs it. He says the champ says no. The answer is no. Roode tells MVP that he wasn&apos;t talking to him. MVP says he is taking to Roode and Lashley&apos;s answer is no. MVP tells Lashley to leave. Kenny King pushes Lashley to the outside. They keep pushing Lashley up the ramp as Lashley keeps turning around. Gail Kim is backstage. The trainer is taping up her shoulder and arm. Gail says it doesn&apos;t matter if she has to tape it... she needs to have this match tonight. Gail Kim&apos;s music plays and she comes out and gets in the ring. She has the Knockouts Championship over her good shoulder while the other one is taped. Gail grabs a mic and says Havok has taken her down but not out! If she wants the belt, come and get it! Havok&apos;s music plays and she walks down the ramp. Gail Kim goes out of the ring and attacks Havok on the ramp. Havok fights back and knocks Gail down. She steps on the bad shoulder. Havok rolls Gail in. She gets in the bell sounds. Havok continues to stomp on the shoulder of Gail as she is lying in the corner. Havok gets Gail up and lifts her up like a bear hug. She rams her shoulder into the corner several times. Gail tries to fight back with punches. She runs in the ropes but Havok lifts her up and does a flapjack type move. Havok grabs the arm of Gail and wrenches it back. Gail is screaming in pain. Havok grabs Gail and has her in a tombstone piledriver form but drops her down for a shoulder breaker right into the knee. She covers but Gail kicks out. Havok continues to work on the arm. Havok locks both arms behind Gail. She is screaming in agony but Gail fights back with a knee to the face. Havok releases it. Gail stands and tries to fight with kicks but Havok drops Gail down and slams her arm down into the mat. Gail tries to fight back yet again. She runs in the ropes but Havok does a shoulder block. Havok whips the arm onto the mat again. She continues the assault. Havok quickly grabs the belt from the referee. She stands and raises it high above her head. She gets on the apron and puts it over her shoulder. The show fades.